Home Nagashima Spa Land Track Added to Hakugei's First Drop. 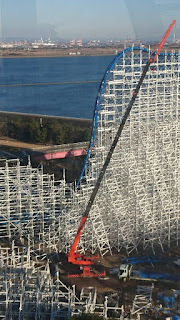 "Hakugei" at Nagashima Spa Land 2019 Construction Update. 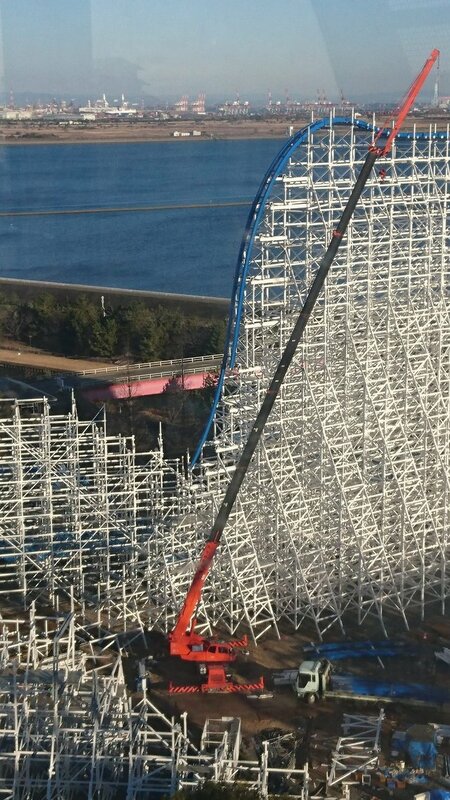 Hakugei's first drop is starting to take shape at the Nagashima Spa Land Japanese theme park. The new coaster will transform the old White Cyclone wooden ride into a steel-tracked, smooth, exciting coaster. During the original meeting with Rocky Mountain Construction, the park thought the concept was too daring, but still went ahead with the project. The layout below is based on the model shown on the Japanese news program Asahicom, the official video from Nagashima, as well as current construction images. The layout features 3 inversions, including a stall, two zero-g rolls, and a top speed of 66mph, or 107kmph.